We just got back from our annual New Year’s family ski trip to Fernie, B.C. The snow wasn’t great this year but that didn’t stop us from making some turns. A quick rest before the epic cruiser Falling Star. Avery has now been skiing for three years, so she’s good enough to ski with us on greens and most blue runs. 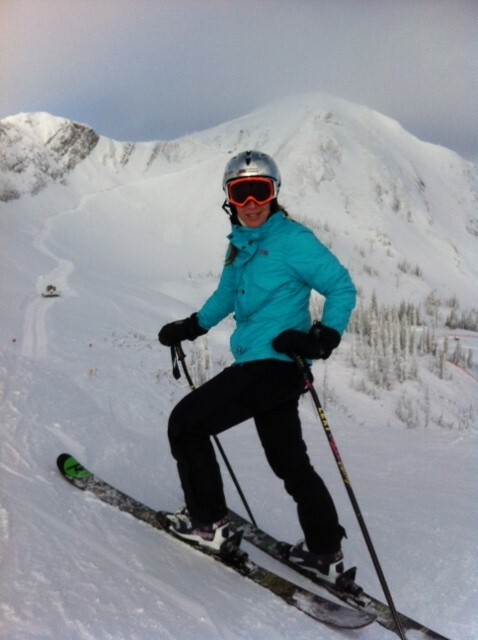 We enrolled her in two half day lessons through the Fernie Alpine Resort Telus Learn to Ski Camp. During the lesson she worked on her turns, tucking for speed on cat-tracks, and skating to propel herself forward on flat spots. 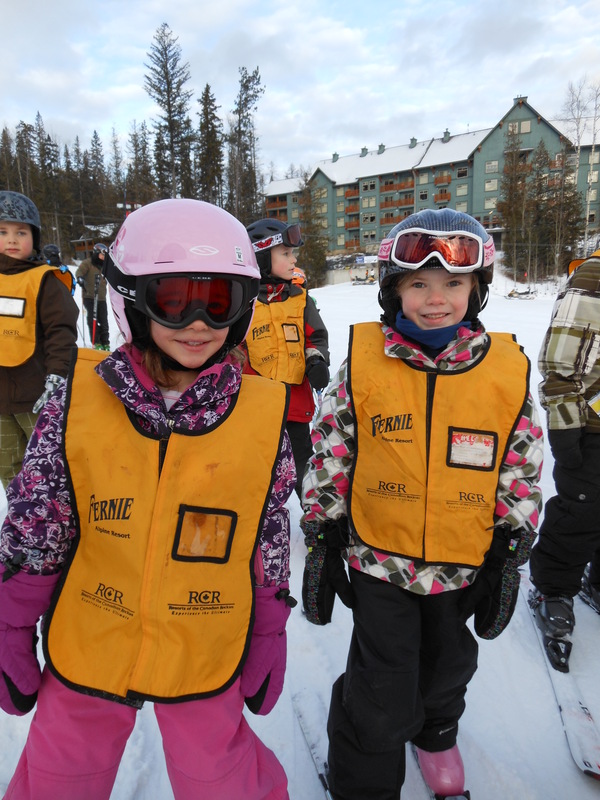 Avery joined her friend Alex for a ski lesson. During the lesson Blake and I hunted for powder stashes in Currie, Lizard and Cedar bowls. It was slim pickings but we enjoyed the child-free time and beautiful sunny Fernie day with mountain views in every direction. After Avery’s ski lesson we ate lunch at Big Bang Bagels in the Snow Creek Lodge and treated Avery to a hot chocolate. Poor Bennett. No skiing for him this trip. He played at the Fernie Resort Kids Daycare and enjoyed a “snow hike” with me one day. 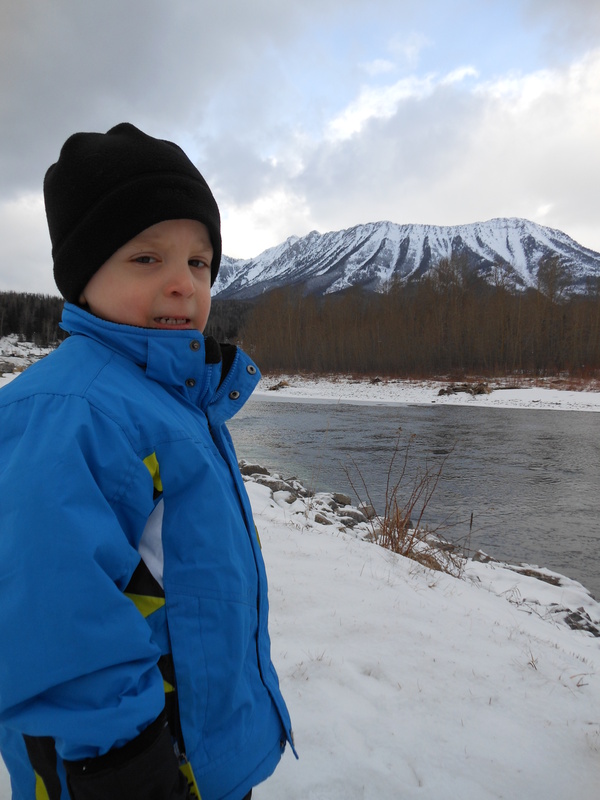 A walk along the Elk River is a lovely way to spend a winter morning in Fernie, B.C. We were so busy eating mountains of food with friends at our condo, there was no time to visit our fave Fernie restaurants, like Yamagoya sushi and The Curry Bowl. Next time. Also, the new Polar Peak chair isn’t up and running yet but should be by mid-January, just in time for a return ski trip! Here I am in Currie Bowl, with the new Polar Peak chair behind me. It's scheduled to open Jan. 14th. 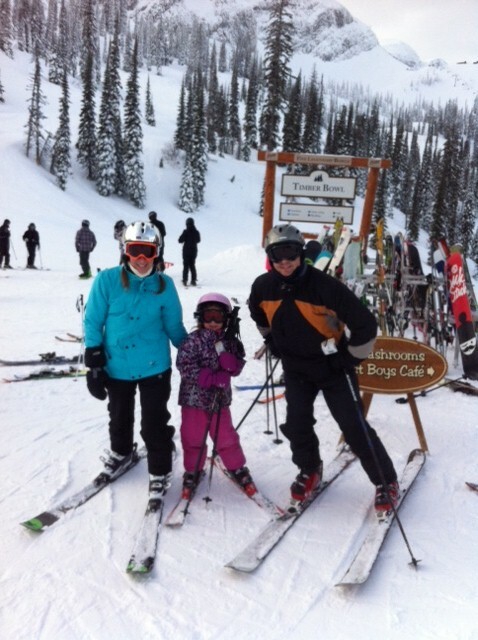 This entry was posted in Travel and tagged family ski trip, Fernie, Fernie Alpine Resort, ski holiday, skiing with kids. Bookmark the permalink.